The only problem is that it was a tent that collapsed and 7 people were only slightly injured. 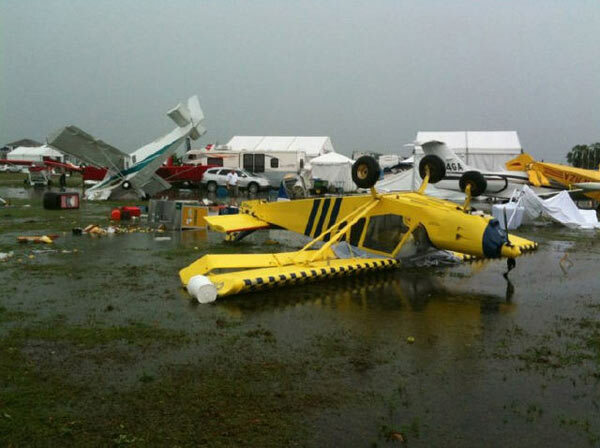 There were reports that 70 people were in a hanger at one time that did not collapse. This was reported by Channel 6 which seems to get a lot of things wrong and has a habit of misreporting events in the news and then is slow to ever correct their mistakes. To be fair, EVERY media outlet got this one wrong. There are hundreds of links that show up in a search where the story was reported. The corrections have only just started. Just another shining example of why you cannot take claims on the internet at face value. THE WINNER OF THE CHARLIE SHEEN INTERN CONTEST HAS BEEN ANNOUNCED!!!!! Ok, hold on for just a darn minute. Not so fast. 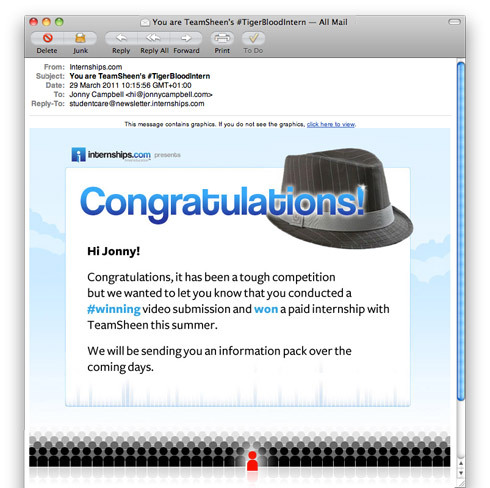 The genuine document pictured here seems to be a letter from Internships.com, the website running to the contest seems to be real enough. The header is there, the body of the letter is the same as used in the promotion. Anyone seeing this letter would say, well congratulations dude, and then wait to see what is next for the person who beat out thousands of others for this honor. Now by now everyone reading this is wondering what this has to do with little ol ME? YOU CANNOT BELIEVE EVERYTHING ON THE INTERNET IS TRUE OR GENUINE! Claims of so called statements and “proof of statements” by the publishing of “pms” are in fact lies by those who likely created the hoax pms to begin with. As I find more evidence of how easy it is to create hoax material such as this, I will post it. I have always wondered why all of this attention about the obviously phony PM’s is still continuing and have contended that those that keep them in the limelight after 3 years were doing so to gain attention to themselves rather than for any genuine purpose. The posts I got recently, from an anonymous source, seems to say something more. ONE of the posters on the blog where these messages came from seems to think she is going to make MONEY off the prank played against me. The other seems to claim that the matter was turned over to the FBI office in the state of Washington. A FOIA request should answer the question about that complaint being made. In all of these purported complaints, I wonder two things: A: did the people making the complaints advise the agencies that they believed them to be a JOKE and that the claims made within them were a JOKE? and b: Did they inform the agencies THE TRUTH behind the circumstances behind how the conversations took place and WHO the other person or persons were in the alleged conversations? I would think that law enforcement would want to know ALL the information regarding the circumstances behind the Pm’s in order to do a proper investigation. To this day, NO LAW ENFORCEMENT AGENCY I HAVE CONTACTED ABOUT THE PM’S WERE TOLD WHO ALL THE PARTIES MAY HAVE BEEN WHO TOOK PART IN THE CONVERSATION, NOR WERE THEY TOLD THAT THESE WERE SUPPOSED TO HAVE BEEN A PRIVATE CONVERSATION BETWEEN TWO INDIVIDUALS. Since they were alleged private conversations reported by an outside party, and hearsay, they would not be allowed to use them along with any evidence gained from any investigation for any prosecution in court. Since Crimeline pays MONEY for tips leading to a conviction, this means that the woman reporting the crime was doing so for the money and not for any genuine concern for the content of the PM’s. The admission by the owner of the blog that the PM’s were out of context and a JOKE indicates that to this day, more than a year later, she has LIED about the content and context of this material. Since her blog was the origin of this material, her motives are quite clear in the continuance of this FRAUD. Somehow when we think we have seen it all, something comes along to make this case yet more interesting. Now, it seems that George may well find himself in the hot seat as a possible murder suspect, by the defense. in the murder of Caylee. Another tactic by the defense could be that George abused Casey and caused her to have Post Traumatic Stress and may have caused Casey’s lack of emotion due repeated abuse of her. A new witness has been filed with the court, this being a woman that got into a shoving match with George in their front yard. The defense would use the testimony of this witness to show that George is abusive and also has a short temper. There is also the idea floating around that George could take the 5th amendment causing the jurors to ponder why he is doing this and to consider that perhaps Casey may not have killed Caylee or at the vary least there are some extenuating circumstances that would lead the jury, at the least, not to consider the death penalty or even come back with a verdict other than that of first degree murder. It seems now that this case may not be the slam dunk we all thought it would be. There was once a strange little creature by the name of MissMissy. She had her own webcast over on BlogTV which consisted mainly of her rambling on for hours on end about nothing that important. She was, however, one of the first trolls to start invading my chat room and spamming it. A hacker uses a widget that will send hundreds of lines into a chat room rendering it useless. The group called anonymous used this method quite frequently and it is interesting that MissMissy is proficient at a skill she denies knowing anything about. She would spend hours on end coming into my room under fake usernames, making all sorts of odd accusations and causing trouble simply for the reason that she could. 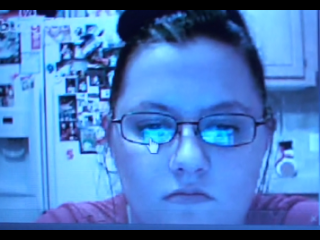 At the time this video was made and sent to me, Angelinfl was still acting as if she was a supporter. This chat session occurred just after I signed onto Paltalk. The ramifications of that decision was something I would come to understand in the months ahead. 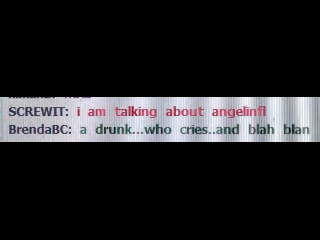 At this time, however, I was under the mistaken impression that AngelinFl was honest about what she had insured me of. This was not the first time I would regret taking a woman at her word. This was standard practice for the haters. 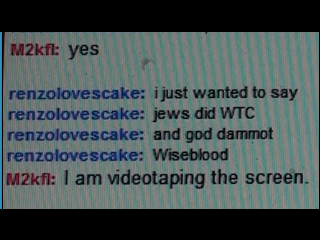 They would demean anyone who was on my chat. This practice would eventually lead to the creation of blogs calling innocent victims “my skirts” and publishing their personal information and that of their children and grand children on the internet. At one point a certain blogger chimes into this chat room. It is interesting to remember that this particular blogger denied having anything to do with the problems with my multimedia site and also did not know who MissMissy was. Things get more interesting regarding Princess further on. Remember that this is NOVEMBER OF 2008! 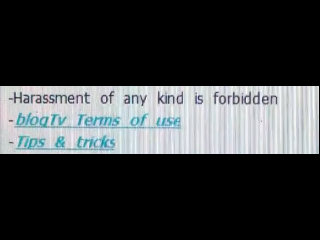 This warning appears at the top of every chat window on blogtv.com. It means what it says. MissMissy always ignored the terms of service of any stream service she signed on at. It is one of the reasons she no longer is operating at BlogTV, at least not under that username. The reason this notification is important is the circumstances of the posts that have been put up so far. 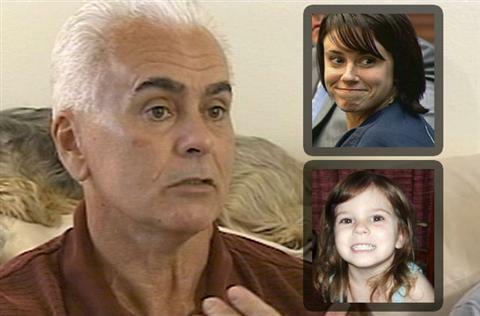 MissMissy and a group of her chatters from her webcast were in my chat spamming it and disrupting it to the point where any kind of discussion about the case of then missing Caylee Anthony was impossible. There was a rather heated argument going on here because MissMissy was planning on making a nuisance call to me. At the time I had been getting all sorts of strange calls. These were what are well known as soundboard calls. This website has a repository of audio recordings of famous people such as Judge Judy, Michael Jackson, Dr. Phil and so on. Pranksters use these audio clips to make calls to unsuspecting victims. Lemmy P, Sarah Palin and a number of talk shows have been victims of these pranks. 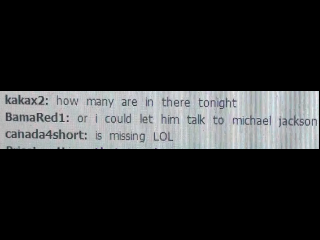 MissMissy denied knowing about these calls or anyone that made them. Someone by the name of BamaRed1 blew her denial out of the water by started what would be an extended conversation about making the soundboard calls. He started posting about using Dr. Phil. There are recordings of prank calls where his voice was used. I am now wondering if this BamaRed person is the one who made those rather disturbing calls. Here we have the discussion of the Michael Jackson Soundboard prank call. It is interesting to note that around the time this chat session was going on there had been a call to me DEMANDING I commit suicide on cam while streaming live. There had also been AOL text messages by Renzolovescake and another piece of work known as Kfc_fan demanding the same thing. This incident would lead to the fake suicide lies told about me by those who have stalked me since around the time the stalking of me started. MissMissy made a call to me, whole streaming live and RECORDED the call. Florida is a two party state and what she did was AGAINST THE LAW. 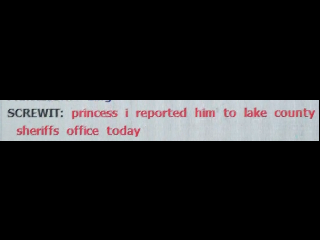 It was this incident that I was talking about on my stream that Princess lied about saying I was talking about HER. 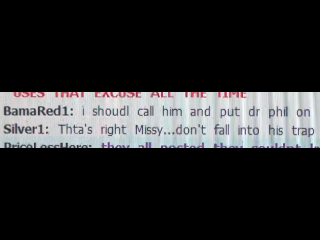 MissMissy was not the only one recording the call as she was broadcasting the call into her chat, which is also against Florida law. Florida’s wiretapping law is a “two-party consent” law. Florida makes it a crime to intercept or record a “wire, oral, or electronic communication” in Florida, unless all parties to the communication consent. See Fla. Stat. ch. 934.03. MissMissy along with a number of other stalkers feel they are above the law as the practice of making recordings of calls to me or webcasting these calls into internet chat rooms have become commonplace for the past three years. 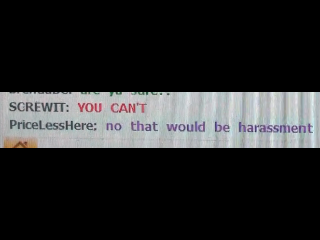 Now in this vary chat room we see our favorite blogger making her baseless charges against me. 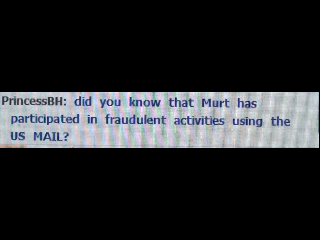 Now what she is accusing me of is known as wirefraud. That means that she is accusing me of the federal crime of using the internet or other means of electronic commerce to defraud people out of goods or services. Now, her charges go back as far as 2006 and yet there is NO record of ANY investigation by ANY law enforcement agency be they local, county, state or federal. To this day, Princess and those who go along with her continue to make these baseless statements in much the same way she has made baseless statements of a similar nature against her relatives in Illinois. Apparently old habits die hard. Now what is interesting is that some piece of work with the user name of Screwit claims to have called the local Sheriff and reported me. Now again remember that this was in the fall of 2008. It is now near the end of March of 2011 and guess what? THERE WAS NO REPORT AND NO INVESTIGATION. I pulled a FOIA request regarding any reports to the agency about me and there is ZILCH, NOTHING, NADA. 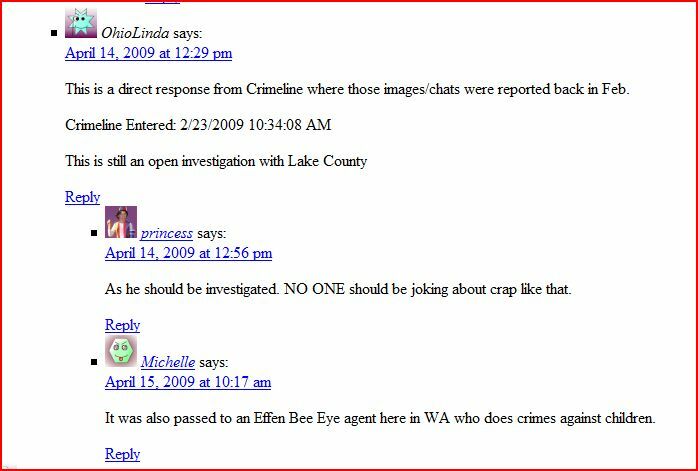 The LCSO has been aware of MissMissy and her website for YEARS. I went to them about this site within days of it’s creation and my learning about her statements there. This is one of a huge volume of examples I have of people like her spreading baseless rumors about me and my friends all over the internet. It is unfortunate that many out there do not take the time to investigate the facts behind these false claims and understand that the posters are nothing more than internet bullies stalking me and others for no other reason that they can. These people do not care about any of the missing children out there. All they care about is themselves and the attention the pranks they are involved in bring them. 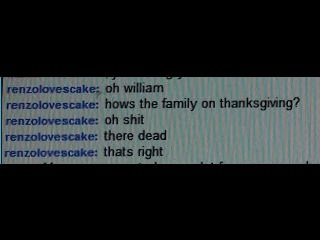 On thanksgiving day 2008, I was contacted for what then was the fourth time the stalkers contacted me by personal message. This conversation WAS NEVER PUBLISHED although I have been told repeadlly that the blog where the PUBLISHED pm’s were sent to has ALL the conversations between me and the individual on the other side of the pm’s. I was told that the owner of that blog had ALL the conversations, both the original and ALTERED conversations as early as January of 2009. Renzo and his other namesakes always sent racist texts and also were clearly anti gay. There were a number of statements of an anti gay nature against Wyatt of SOS who conducted private searches for Caylee. This next post by Renzolovescake is quite telling of the attitude of the hackers who were stalking me. This post makes it abundantly clear that this group does not care that we all were trying to find out what happened to Caylee. This conversation took place over the thanksgiving holiday and the search for Caylee by Lenny P the bounty hunter and the volunteers he was able to organize at Blanchard park. This was the second conversation that had taken place after the severe hacking that occurred the day that Mike DeForest did the interview regarding my live truck and the streaming I was doing of the searches. 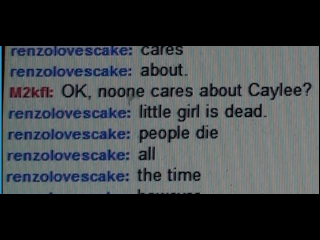 According to Renzo, nobody cares about Caylee. Apparently the blogger who, to this date, has this conversation in her archives felt that it was not important to let people know the kind of people who were stalking me and who were behind the pm’s that she did publish. One might want to ask her why she felt it necessary NOT to publish THIS conversation. Perhaps that blogger AGREED with Renzocake, It seems that all she and her stalkers care about are a number of questionable and obviously ALTERED pm’s and that to inform people that SHE and Renzoloves cake did not care about Caylee and obviously still do not care about Caylee since she never bothered to find out who made such as statement. It is important to note that almost a month after this conversation took place, the remains of Caylee were found 12 miles from Blanchard Park and less than a mile from her Grandparent’s house. Just before these messages started, I had started getting what would be nightly telephone calls by the person calling himself Renzoloves cake and they would continue each and every day from then until last evening. Every single solitary day, with the same request. Commit suicide on cam so they can get their lulz. There was also something significant about this thanksgiving, My wife had passed away in January of 2008. This was the FIRST thanksgiving since she passed and I was, as I am today, all alone with nobody to get me through the holidays. Renzolovescake and a woman who calls herself Crystal, make it a point to call me each and every holiday, Thanksgiving, Christmas, News Years eve (my wife’s birthday as he always reminds me) my son’s birthday, the day he passed away, our wedding date, my birthday, and on the date each year that my wife passed away. He always makes the same request in each and every call. Commit suicide on webcam for the lulz. This is another pm that the blogger did not publish and nobody bothered to give Detective Dominic Casey. 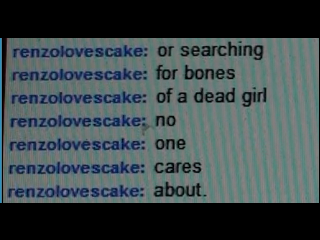 This is but a small sample of the 27 (i finally counted them all) private messages I got from Renzolovescake. Soon after this conversation, I switched over to Paltalk and after a while they started sending me the messages on Paltalk. The blogger who published the altered pm’s never went into the events of the pm’s, the people who were behind the pm’s and how the conversations started. The blogger and her supporters never told their readers nor the rest of the internet of the many, many calls I got or how some of this group including someone called MissMissy intimidated the chatters on my blog and stalked me there as well. 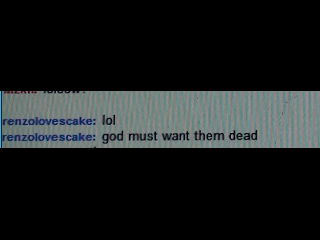 In my next installment I will publish some samples of how MissMissy contributed to the stalking of me and my chatters. The last three years have been a colossal waste of time. The blog wars, started by those who had been banned or otherwise rejected from one Blog or forum after another took their frustration on the offending sites by creating their own forums and blogs for the sole purpose of smearying, lying about those sites that rejected them. In the end all they have done is shown everyone that they cannot take rejection and will throw a temper tantrum when they do not get their way. These are people that simply cannot take no for an answer. The staged events and forged materials have had little or any effect. Again, all that has been accomplished is to show how certain woman who feel scorned when denied access to a blog, forum or chat, will stoop to anything to vent their frustration over being scorned. It is a pity, that the stereotypes of women as seen in some insurance commercials where women react to break ups by demolishing their ex-lovers car by throwing heavy objects out of a high rise apartment have been shown to have an element of truth through the actions of these women. I would certainly hope that everyone reflects on the monumental waste of time this has all been and that the offenders can “women up” and move on. I am quite certain that there are grandchildren, nieces and nephews and other loved ones that would better served with their attention rather than ranting and raving on the internet about something as mundane as being told you are not welcome at a blog. There is a certain someone out there that thinks she is able to hide from the truth. She is running around in a panic, erasing the proof of her misdeeds. Unfortunately she has left so many bread crumbs, many records of her misdeeds remain. The clock is ticking. tick tock………..
March 25th, 2011 | murtwitnessonelive | Categories: Uncategorized | Comments: Enter your password to view comments. The WESH chat went somewhat better today. While the trolls and drama queens played their little games today, it was at a much lower level than when I first started posting at the chat. 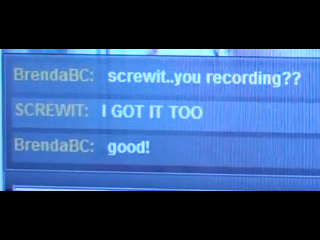 The most interesting part came when the trial recessed and the chat remained for a short while afterword. There was a bit of a conversation going on regarding how the trial of Casey Anthony was going to go as well as touching on the jury selection process. It was sort of like the old chat days where the exchange of ideas was made in a cordial manner. I knew fairly early in the chat who it was I was talking to. I almost expected something to come of it and have it deteriorate into another troll fest. That did not happen and I was quite surprised. This is how a chat should be. The participants may not like each other but they can have a civil discussion in a public place. It would be nice if this is a sign of things to come but I have learned not to garner much hope for that. At least I can have comfort that for a brief moment, there were two people who may not see eye to eye who were able to talk to each other in a polite and respectful manner. To her I give thanks for that.